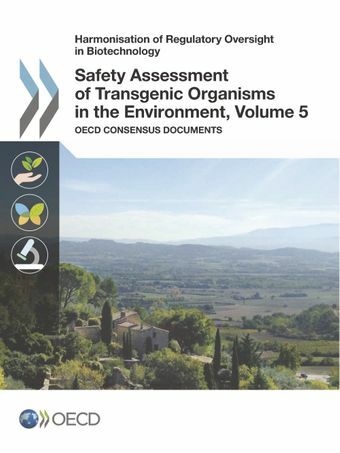 This series represents a compilation of the biosafety consensus documents developed by the OECD Working Group on Harmonisation of Regulatory Oversight in Biotechnology over the periods 2011-12 (Volume 5) and 2013-15 (Volume 6). Volumes 5 and 6 describe the biology, centres of origin, genetics, hybridisation, production and use, and ecology elements of several crops (sugarcane, cassava, sorghum, common bean, cucurbits) and trees (eucalyptus species). They also provide considerations on pathogenicity factors in assessing the potential adverse health effects of bacteria, and the low level presence of transgenic plants in seed and grain commodities. The consensus documents contain information for use during the regulatory assessment of products of modern biotechnology, i.e. transgenic organisms (plants, animals, micro-organisms), when intended for release in the environment. As such, it should be of value to applicants for use of genetically-engineered organisms in agriculture mainly, to regulators and risk assessors in national authorities for their biosafety assessments, as well as the wider scientific community. More information on this OECD programme is found at BioTrack online (www.oecd.org/biotrack). Volume 6 describes the biology, centres of origin, genetics, hybridisation, production and use, and ecology elements (sugarcane, cassava, sorghum, common bean, cucurbits) and trees (eucalyptus species) from 2013-15.